Patea PNG Quilt Collective: October 8th. 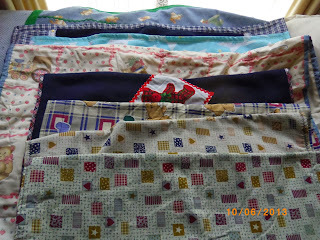 Eight quilts from NSW. October 8th. Eight quilts from NSW. This parcel of lovely warm bunny rugs and quilts arrived last week from a group of ladies in Macksville, NSW. They do have an interesting name for themselves, but have asked me to refer to them as the Monday Morning Girls! Thank you all very much ladies - these will be greatly appreciated by our PNG babies. October 25th. Three quilts from Lynda in NSW. October 18th. Two quilts from California, USA.